Once you run a Scan, you can view all detected Issues in the Scan Summary Dashboard. In the Issues pane, use the Group By dropdown to group the issues by Vulnerability Type, Severity, Confirmation or URL. Navigate to the the Scan Summary Dashboard (see Viewing the Scan Summary Dashboard in Netsparker Standard). In the Issues pane, select the Issue you want to view. (Alternatively, you can click on any item in the Sitemap window.) The Issue is displayed in Vulnerability tab in the central pane. 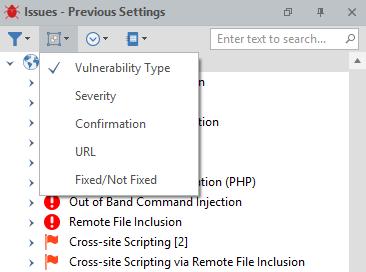 You can use the tabs at the top of the Vulnerability Details window pane to see more information about the highlighted issue such as the URL, the name and type of the vulnerable parameter, remedial actions and more. 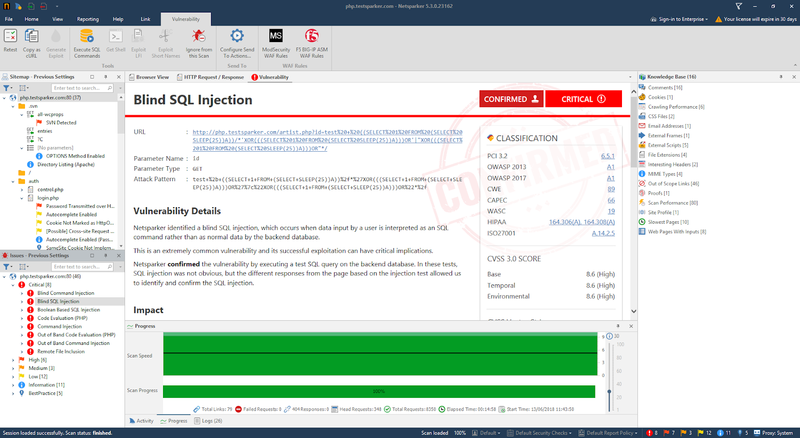 Browser View allows you to view the present view of the web page, including its response to the attack payloads which Netsparker sends. From the Scan Summary Dashboard (see Viewing the Scan Summary Dashboard in Netsparker Standard), in the Issues pane, select the Issue you want to view. Above the central pane, click Browser View to display the item in the Internet Explorer-based preview window. Note that all CSS and client-side scripts are disabled in the browser view for security reasons. Alternatively, navigate to the Link tab, and from the Open in Browser section, click one of your installed browsers to see how the reported issue appears in a live browser.